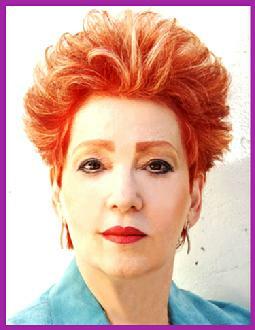 PRLog (Press Release) - Sep. 17, 2013 - LOS ANGELES, Calif. -- Dr. Arlene Barro launches Strategy Salons for Entrepreneurs™ to ignite, fire up and explode your business brand for unparalleled success. 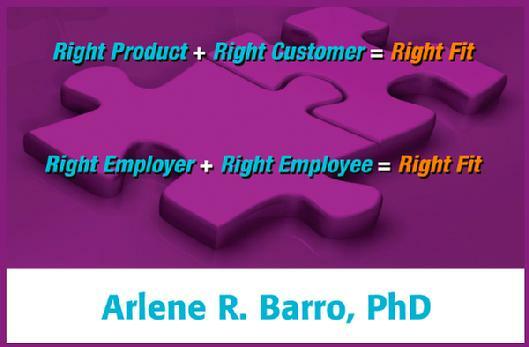 Dr. Arlene, the Creator of the Right Fit Method and Right Fit Branding Strategies, conceived the concept of Strategy Salons to groom entrepreneurs who have the potential, passion, and perseverance to become notable. This innovative gathering of likeminded business owners will act as an incubator, stimulating creativity and presenting entrepreneurs with new approaches to marketing. Strategy Salons for Entrepreneurs™ will meet continually throughout the coming year, focusing on business success in 2014, which begins with a solid plan by the end of 2013. Envision a salon filled with entrepreneurs, each with their own unique brand, ready to ascend to new heights. Dr. Arlene builds distinctive, intriguing, and recognizable brands to direct the trajectory of businesses, creating unique Right Fit Business Solutions for all communications to maintain a consistent brand in order to capture Right Fit Consumers. Moreover, she mentors businesses on how to find, train, and retain Right Fit employees. 1. Who should contact Dr. Arlene? Entrepreneurs who are driven to succeed, eager to learn proven strategies and are yearning to exchange ideas with other entrepreneurs who share a similar mindset. Please email DrBarro@WinWithoutCompeting.com or call 310-443-4277 to arrange a time to speak with Dr. Arlene. 2. How entrepreneurs will be selected. You will be evaluated on content, creativity, and charismatic delivery of your written and verbal communications. Be sure to pitch your business brand. Indicate whether you are Starting Up, Struggling, Stagnating, or Sprinting. Explain why the Strategy Salons intrigue you and what you want to accomplish. 3. What is the deadline for submissions? The submission date for October’s salon is Friday, September 27th at 7 PM Pacific Time. Be sure to speak with Dr. Arlene during the submission process. Entrepreneurs joining the salon in November or December must submit and speak with Dr. Arlene before October 25th and November 29th respectively. 4. When will you be notified about acceptance to Dr. Arlene's Strategy Salons? During the week of October 14th, 2013 you will receive a packet of information by email. 5. Where and when will Dr. Arlene's Strategy Salons for Entrepreneurs meet? The in-person Strategy Salons will be launched in October at the corporate headquarters of barro global search, inc. in the Tower Building at 10940 Wilshire Blvd., Suite 1600, Los Angeles, CA 90024, located in Westwood adjoining UCLA. If you are unable to attend the in-person Strategy Salons, we have a solution. Dr. Arlene consults by phone from coast to coast, and she is highly skilled in telephonic communications. We will do telesalons with high-octane interaction! Rate Your Brand Zero to Hire, is a UCLA-trained PhD with distinction for her doctoral dissertation on creativity. Dr. Arlene, Branding & Hiring Expert, is a Business Consultant and Master Career Coach, Professional Motivational Speaker represented by AEI Speakers Bureau, Radio Talk Show Host of the WIN Without Competing! 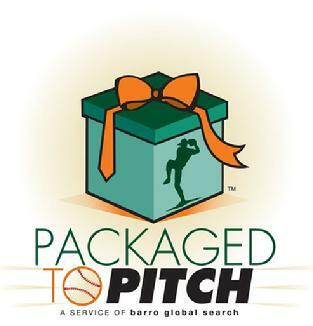 show, and CEO of barro global search, inc.